Establisted in 2007, We have been serving the Calsbad community for over 10 years! We proudly give our customers peace of mind by taking away tension, easing muscle stiffness and pains, and it has been a wonderful journey as we strive to provide the highest level of service to our customers. Massage therapy takes away tension, releases muscle stiffness and increases circulation and metabolism. The best part of therapy is that it relaxes as well as energizes the person. It focuses on the specific problem, whether it is an acute or some chronic pain associated with the joints, muscles or skeletal system. The massage is beneficial in reducing the pain of neck, shoulders, hips, back, arms, highs, legs and ankle disorders. It is a very effective therapy for arthritis, pain, sciatica and muscle spasms. Other benefits of this massage therapy include alleviation of the stress related disorders like insomnia, constipation, headaches and other disorders related to digestive, respiratory and reproductive systems. The 60 minutes were pure pleasure and relaxation. I actually fell asleep for a moment while Tina was working on my feet. The session began with a hot cup of herbal Chinese tea, then soaked my feet in hot water. She then gave me a face, neck, head, and shoulder massage that was absolutely fantastic. She then worked on my feet and legs. I just got back home and feel wonderful. I highly recommend their services. I have terrible anxiety, and as a result I have very tough knots throughout my entire back. 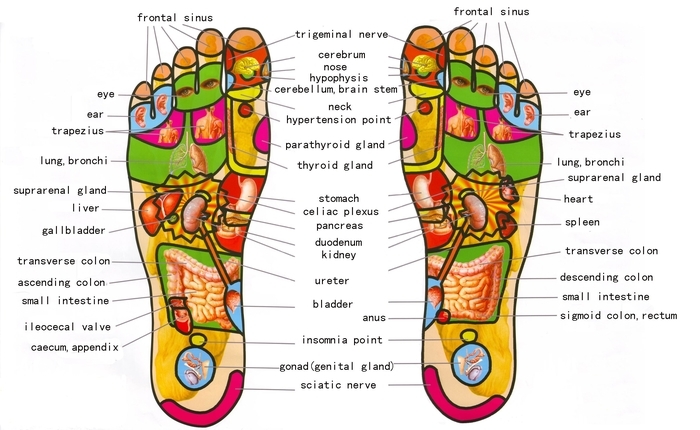 All of my experiences at East Holistic Reflexology have been excellent. I've been massaged by 5 different employees and ALL of them are great at knowing where you need the most attention. It's a great therapeutic massage and you can always tell them what pressure you'd like. A full-body hour massage is only $49 & it's worth it. I have been getting a one-hour full-body massage from Tina of East Holistic Reflexolgy every 2 weeks for about a year now. She gives an absolutely fantastic therapeutic deep-tissue massage using both Chinese and western techniques. Can't beat the price either ($49/hr). One hour of massage from Tina lasts much longer than the 1 1/2 hour massages I used to pay a lot more for. When you spend all day at work at a computer, that's very important! I have been a customer of EHR for almost two years and I am completely happy with the service and value. I am a serious connoisseur of great massage and healing work and I have had many people work on me over the years. I have to say that though I have many options for massage and rejuvenation in this town, I go to East Holistic Reflexology most. I love both the foot massage / reflexology and full body massage equally, both are fantastic! I recommend Cindy as your therapist, but good to try them all. Also, the foot massage is a great way to introduce a friend or family member to the wonderful health benefits of massage. EHR is a true mini-vacation for the soul & soles.